As some of you may know, we were presented with an excellent opportunity to partner up with the FanSided Network. As of yesterday, we have officially moved. We no longer go by, “PRO Prospects”. Our new name is “With The First Pick”. The buck does not stop here. We will continue to pump out NFL Draft content for you junkies. Make sure to visit us at the new site, bookmark it, and pass on the word. Jurdon and I truly appreciate the support that you have given us over the past month. With out you, a partnership like this would not have been possible. We look forward to continued success, and draft debates with you all. See you over there! Auburn DT, *Nick Fairley – Unfortunately, Andrew Luck has decided to remain in school and finish out his college career. Now, the number one pick becomes a lot more difficult for the Carolina Panthers. With the departure of Julius Peppers, they might look to pick up defensive end, Da’Quan Bowers. The Panthers defensive ends played very well this season, so I wouldn’t steer that direction. They should look to add the most dominant defensive player in the country, Nick Fairley. Fairley has the skills to succeed at the next level, both in run defense and pass rush. When he steps on the field he brings a nastiness with him. His attitude and play will surely help the Carolina Panthers become more stout at the point of attack. If you watched Fairley in the National Championship game, then you know just how dominant he is. He finished that game with 5 tackles for loss, and a sack. Unreal numbers! Clemson DE, *Da’Quan Bowers – This is a tough pick. Denver has a new coach, their defensive scheme is in flux, and they may lose shut down corner, Champ Bailey this offseason. The best pick for the Broncos is, defensive end, Da’Quan Bowers. An explosive defensive end that is scheme versatile. He can play the power end in a 4-3, or the 5 technique in the 3-4. Bowers was a beast in 2010. He was the most consistent edge rusher during the season. He accumulated 15.5 sacks and 25 tackles for loss. He should pair up nicely with Elvis Dumervil once he returns from injury. Texas A&M, OLB Von Miller – When running the 3-4, pass rushers are essential to the success of the defense. The Bills could go many different ways with this pick. They need a quarterback for the future, they need a lock down cornerback, they also need a playmaking receiver. I think there biggest need is adding a dynamic edge rusher to their 3-4. Without a rush OLB, the defense will have a hard time creating negative plays and winning the 3rd down battle. 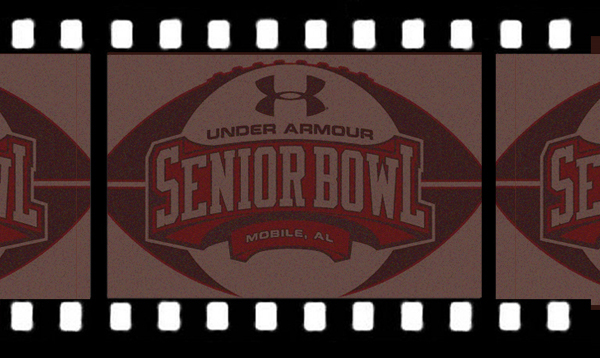 Von Miller is coming off of a great week of practice at the Senior Bowl. He’s an athletic freak that put up tremendous numbers in college. The Bills can’t afford to let a pass rusher of this caliber slip by them. There other needs can be filled in the later rounds. Georgia WR, *AJ Green – The Bengals will more than likely be without receivers Chad Ochocinco and Terrell Owens next season. Both are set to hit the free agency. Both were instrumental in the lack of success the Bengals saw in 2010. Ochocinco consistently wasn’t on the same page as Palmer, often running the wrong routes or not getting the proper depth. Owens had a good year statistically, but is always somewhat of a distraction to a team and drops occur often. The Bengals will get a legitimate number one receiver in the draft, and Palmers career may be saved because of it. A.J. Green is the top receiver in the 2010 draft class. He runs a 4.3 forty, has excellent hands, and runs precise routes. Right now he is receiving comparisons to Randy Moss. If that comparison holds true, things will bold well for Palmers future with the Bengals. North Carolina DE/OLB, *Robert Quinn – The Cardinals need to improve their pass rush. Their two starting outside linebackers combined for a total of 10 sacks in 2010. There were twenty players across the league who racked up 10 or more sacks on their own in 2010. Joey Porter and Clark Haggans are old. Porter will be 34 next season, and Haggans will be 35. If the Cardinals don’t infuse some young athletes into their defense, they will find themselves in serious trouble. Robert Quinn can immediately replace Porter as the premier pass rusher. Quinn didn’t play college football in 2010 because of the infamous North Carolina agent scandal. In 2009, Quinn was highly impressive. As a sophomore, he sacked the quarterback 11 times. He is an athletic freak that will excel in the 3-4. LSU CB, *Patrick Peterson – The Browns are switching back to the 4-3, which means 5-techniques are off the board. They could use a player like Julio Jones to stretch the field, but I think it’s a little to early for him. They are also in need of a rush defensive end, but none warrant the 6th pick. Instead, they simply go with best player available. They got Joe Haden last year, and this year they get Patrick Peterson. Imagine a secondary that includes Haden, Peterson, and Ward. That secondary would cause havoc for opposing quarterbacks. Nebraska CB, Prince Amukamara – Im torn with this pick. I want the 49ers to go out and get their quarterback of the future. The only problem is, that guy may not be in the 2011 draft, or at least not in the first round. Jim Harbuagh’s recent actions lead me to believe they will go another route in the first round. He didn’t attend the Senior Bowl practices, and was recently quoted saying, that he’s excited about working with Alex Smith. I look for them to bring in a veteran, and just draft the best player available that fills a need. Prince Amukamara is extremely physical and technically sound. There aren’t may explosive receivers in the NFC West, so that should help Amukamara make an immediate impact. Missouri QB, Blaine Gabbert – The Titans are a mess. They announced that they will part ways with Vince Young and now Coach Fisher has left the organization. Whom ever takes over the reigns, will need to find a quality quarterback. Kerry Collins and Rusty Smith are not the answers. With the emergence of Kenny Britt and Jared Cook, and one of the top five rushers in the NFL, the Titans are not far off from being a top 15 offense. I look for the Titans to answer their quarterback needs here. They are in a perfect position to get one of the top four slated for the first round. Right now, Blaine Gabbert is the number one rated quarterback on the board, and the Titans jump on it. Gabbert displays a strong arm, poise in the pocket, and accuracy. He should be able to come in and solidify the most important position on the field. Colorado OT, Nate Solder – I know the Cowboys secondary is sub par, but lets get real, they need to sure up the offensive line. With all the talent they have on offense, there is no way Romo should be getting beat up like he is. There’s also no reason the running game shouldn’t be top five in the NFL. Add a top tier offensive tackle, and it fixes both areas. Nate Solder is a huge human being with surprisingly good athletic ability. The former tight end comes in at 6’9 315lbs, and should be able to keep Romo clean and create running lanes for Felix and co. If the Cowboys want to regain form they must start with the trenches. Washington QB, Jake Locker – Shanahan has a blueprint for the type of quarterback he prefers. 1) They must be mobile enough to execute boots, rollouts, and escape the rush. 2) They have to have a strong enough arm to hit every throw on the field. 3) They must have some size to them. Last year, Shanahan was enamored with Jake Locker. It was believed that he would of been there 1st round pick had he come out in the 2010 draft. Locker had a rough week at the Senior Bowl. His accuracy was inconsistent, and he didn’t show to be a a bonafide number one pick. However, I still see Shanahan taking a chance. He fits the mold, and I refuse to believe that Rex Grossman is the answer. Missouri DE/OLB, **Aldon Smith– The Texans just hired former Dallas Cowboys head coach, Wade Phillips, to be their defensive coordinator. That means there will be a shift in the Texans defensive scheme and philosophy. Since the 3-4 will be implemented, the Texans need to invest in a player who can rush the passer as an outside linebacker. DeMarcus Ware was the cog holding that Cowboys pass rush together, and I see Aldon Smith in the same light. Smith has the size, athletic ability and pass rushing skills to stand up and make an immediate impact in that Texans new 3-4. He is raw, but it is hard to ignore his upside. USC OT, *Tyron Smith – The Vikings offensive line is getting old, and it’s getting old quick. A once elite group, struggled to open up holes for Adrian Peterson. It’s better that they address this issue now instead of later. The running game needs to become elite again if they want to compete in a defensively talented NFC North. Tyron Smith has a chance to be one of the few blue chip players in this years draft. He is an athletic freak with the physique of a linebacker. He excels in open space, mirrors with the best of them and will improve the Vikings offensive line from day one. UCLA OLB, *Akeem Ayers – The Lions lack playmakers on defense. They are desperate for a solid cornerback, but the two top cornerbacks were both taken in the top 10. The next best thing is to add a versatile play making linebacker who can line up at multiple positions. Akeem Ayers can rush the passer, drop into coverage, and defend against the run. His ability to play multiple positions will give the Lions a lot of scheme flexibility on defense. Alabama WR, *Julio Jones – Those of you who watched the Rams in week 17, saw that Sam Bradford is in need of a number one receiver. Had they had a guy who could consistently separate and get open, they would of won that game, and Bradford would of seen the playoffs in his rookie year. Fortunately for them, they didn’t. Now they are in position to get one of the best receivers in the draft. Julio Jones possesses everything you want in an NFL receiver. He’s tall, strong, fast, and physical, the list goes on and on. In my opinion, he is the most complete receiver in the draft and is poised to be a star receiver. Florida OC/OG, Mike Pouncey – The Dolphins have gotten away from what turned their team from a a 1-15 team to a winning team, and thats running the ball. The eulogy has been given for the Wildcat, and it’s time for the Dolphins to regroup and get to some smash mouth football. The running game has to be the focal point if they want to contend in the AFC East. Even though both Ricky Williams and Ronnie Brown are set to hit free agency this offseason, I don’t see the Dolphins going running back here. There will be running backs available in rounds 2-3. Everything in the running game starts with the trenches. The Dolphins go with Mike Pouncey. Pouncey can play either guard or center. He comes from the SEC and is a team captain. He should be able to come in a solidify a position along the interior line. Purdue DE, *Ryan Kerrigan – The Jaguars have displayed an horrific pass rush over the past few years. It is an area that is of the upmost importance of being filled. You cannot compete against Peyton Manning and Matt Schuab without adequate pressure. They need a presence on the edge, and thats where Ryan Kerrigan comes in. Kerrigan has been a terror off the edge for Purdue. He has been doing his best Jared Allen impersonation all season long. His motor is non-stop, and he gets to the quarterback frequently. He also has a knack for forcing the quarterback to fumble. In two years, Kerrigan put up 23.5 sacks and 11 forced fumbles. His relentlessness is contagious and he’ll make the players around him better. Auburn DT, *Nick Fairley – With new defensive minded coach Rivera stepping in I see him taking an absolute monster DT Fairly here. Rivera will looks to rebuild this defense before addressing the needs of the offense. LSU CB, *Patrick Peterson – With Champ Bailey most likely departing from Denver the Broncos are going to be in need of an impact corner back that can step in and play immediately. Peterson is probably the most ready to make this transition with his size and speed. Missouri QB, *Blaine Gabbert – In desperate need of a QB after Carson Palmers trade demand Blaine Gabbert is a perfect fit for the youth movement going on in Cincinnati. They are going to need to draft another WR, or pick up another through free agency to give Gabber another weapon, but they have more than enough to start with in Shipley, Gresham, and Simpson who came on strong late. Clemson DE, *Da’Quan Bowers – The stock of Bowers is rising currently and at this Cardinals are going to need a a guy who can get after the quartback. Bowers would be a nice addition to place on the same line with Darnell Docket. Georgia WR, *A.J. Green – The Browns played better than expected last year, and young quarterback Colt Mccoy won over a lot of people in the front office to take the reins as the starter going into 2011. I think the Browns will rewards his efforts by getting him a instant impact WR in AJ Green. Washington QB, Jake Locker – This pick seems tailor made the 49ers and Locker at this pick. With the recent signing of HC Jim Harbaugh I see the 49ers selecting Jake Locker with this pick. Locker has all the skills, size, and ability, but just needs fine tuning of his mechanics. Harbaugh is the perfect tutor to bring Locker up to speed quickly with a 49ers offense that does have some weapons going into 2011. Arkansas QB, *Ryan Mallet – With the departure of Vince young and Kerry Collins entering his 100th season I see Jeff Fisher selecting Mallet who is quite similar to Collins when it comes to playing QB. Nebraska CB, Prince Amukamara – Mike Jenkins showed he is not a starting CB in this league by giving up the most yards this season at the position. Prince Amukamara is a big physical CB that should be able to step in immediately and bring some life and youth to this troubled secondary. Auburn QB, *Cameron Newton – Slight reach here for Newton but the Redskins lack talent and athletic ability. They will get both these things in Cam Newton. Newton showed instant offense on the ground and through the air, and will help bring a spark to the entire organization. Many compare him to Big Ben, and Newton is taking it one step further by training with the same QB coach that Big Ben did prior to the draft. Texas A&M OLB, Von Miller – Von Miller proved to be as versatile as they come at the line-backing position during his time at Texas A&M. He has the ability to play in multiple schemes and defenses, and can get sideline to sideline to make tackles as well as get after the quarterback. Texans looking to add depth to that weak defense will look to add Miller, and guy who has playmaker written all over him. Miami CB, *Brandon Harris – Vikings have huge questions at quarterback but with all the 1st rounders off the board the Vikes will address the secondary with Brandon Harris a very NFL ready CB that can come in and make plays immediately. He is good against the run and pass. Fraizer the new HC will love adding Harris to his secondary. Colorado OT, Nate Solder – Many have Solder being the first offensive lineman off the board and why not to the Lions who really are going to need to protect QB Matt Stafford and that surgically repaired shoulder of his. Alabama WR, *Julio Jones – The Rams were absolutely decimated by injury at the wide receiver position and ended up with Danny Amendola as their leading WR which is not a good thing. Julio Jones is a big tough talented wide out that should prove to be very durable for Sam Bradford to through to. Alabama RB, *Mark Ingram – With Ricky Williams set to retire and a lack of production in Ronnie Brown Ingram is a good pick up for the Dolphins here. Similar bruising running still that the Dolphins are used to, but fresh legs and youth that should help this lackluster offense. California DE, Cameron Jordan – The Jags were on the brink of making the playoffs this past season but came up a little short. They need to get some guys healthy on offense to help out, but with no one really worth at this picking on offense at this posi. The will look to add a run stopper up front and Cameron Jordan can provide this coming out of Cal. Competitiveness: Extremely physical running back almost to a fault because he has most definitely put his body through some punishment at Oklahoma. With a bruising running style similar to his predecessor Adrian Peterson, Murray does not shy away from contact, and finishes runs moving piles and falling forward. Vision/Patience: Vision and Patience is average at best. Murray sometimes shows flashes of patience letting his blocks development and then exploiting them, but very inconsistent. Has the tendency to hit the first hole he sees, and not wait for cutback lanes, or other holes to develop. Agility/Acceleration: Acceleration is average as well, but when healthy Murray did show he could flash some speed for a bigger back. He is a more a one cut down field runner, but does possess a lot of agility running and catching the ball out the backfield. Showed that when he reached the second level he the acceleration to hit the home run. Power/Balance: Murray does have power in his 6’1 217 pound frame, but he loses some of this with a high running style. Must work on keeping his pad level lower especially entering the league to take on much bigger and faster opponents. Displays a good amount of balance takings hits from defensive players, or tight roping the sideline for extra yardage. Passing Game: Probably Murrays strongest asset entering the NFL is his ability to catch the ball out of the backfield. Not only great at selling the screen, but can catch the ball in a variety of different ways short to long. With a lot of teams having their running backs close to the top of the list of passes caught Murray increases his stock being a good pass catching running back. Intangibles: Extremely hard working on and off the field, a true gym rat indeed. Has had some injuries though out his time at Oklahoma, but rehabbed well got back on the field. 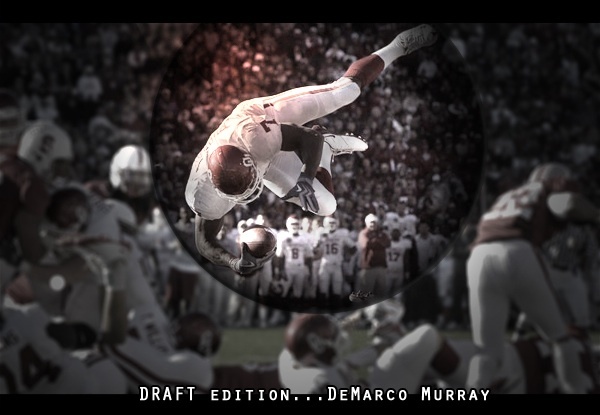 Overall Stock: Because of his durability and lack of breakaway speed Murray has hurt his draft stock over the past two years. If he can stay healthy Murray is a very versatile player that could be a nice addition to a team as a third down pass catching RB. Instincts/Recognition: Understands route running and body language extremely well, especially when in man coverage. Does a good job of playing the ball and not the receiver. In off zone, struggles to sometimes recognize when receivers are breaking off their routes. Needs to improve his anticipation. Against the run, he does a nice job at keeping his eyes in the backfield to diagnosis the play. Also, reads screen passes very well. Cover Skills: Press man coverage is where he shines. Plays with physicality and has the size and length to effectively press receivers and re-route them. Understands leverage and position. Knows how to use his wing span to jam a receivers inside shoulder, to prevent them from executing inside routes. Shows good balance when fighting receivers in the 5-yard area. Does a nice job of planting-and-closing on comeback routes, but could become even better if he stayed lower. Is adequate in off zone coverage. Footwork and balance tend to wane when not in press. Back pedals nicely, but could benefit from staying lower. Has good speed and foot quickness. Can stay in receivers hip pockets and that allows him to contest every ball thrown his way. Ball Skills: Hands are good and improving. Does a nice job of playing the ball and not the receiver. On over the top routes, he whips his head around and locates the ball. Uses his long arms to deflect passes, and his hands to jar balls free. Has an innate ability to time his leaps and route jumping perfectly. Uses his size well on fade and post corner routes. Is not a ball hawking cornerback. Run Support: Plays the run well, but needs to be more aggressive. Will sometimes wait for ball carriers to come to him or assume someone else will make the tackle, instead of attacking. Jogs around and lacks effort on occasion. Doesn’t fly to the ball, which allows ball carriers to get good yardage after first contact. Isn’t overly physical either. Does not show the strength necessary to deliver a good pop upon contact. Is more of a wrap-up-drag-down tackler. Despite his lack of physicality, he doesn’t miss many tackles. Even at his size, he has some issues with disengaging from receivers blocks. Needs to become more violent and aggressive with his hands. Intangibles: Active in community service. Thought of as quiet and reserved. 2010 Jim Thorpe Award candidate. All-Big 12 First Team selection. 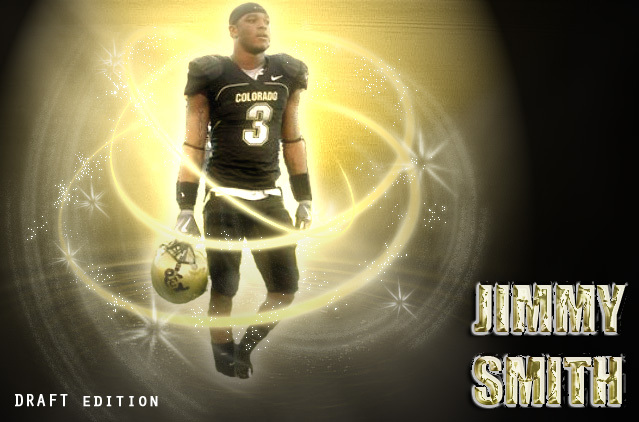 Overall Stock: Teams are intrigued by the size of Jimmy Smith. He has next level ability. Anytime a cornerback is 6ft plus, athletic, and excels at playing press man coverage, he will find himself in discussions of the first round. As it is now, not many people know about Smith. He is not a flashy kid. Doesn’t pick off a ton of passes and run them back for touchdowns, and he attended a mediocre football school. But, I guarantee people will soon know him. In the last two years, Smith has put up some crazy numbers that aren’t obvious to the casual fan. He has only allowed 11 competitions in the past two years, total. Those are insane numbers. In fact, those are Nnamdi-like numbers. Teams will put on the tape this offseason and see a potential shut down corner. He does have his flaws, but shut down corners are a rare breed, which means there’s a good chance Jimmy Smith comes off the board in the first round. With a strong combine, the skies the limit for this kid. Production: Superb production from Moore during his 3 years at UCLA. Displayed very good on field awareness with diagnoses of plays in the run and pass. Showed he could be a ball hawk at times with 10 interceptions in 2009, but only 4 combined during 2008 and 2010. Makes quick instinctive decisions when coming up to play the run, or when reading the quarterback in pass defense. Height-Weight-Speed: Moore has an NFL ready body at 6’1 200lbs and has more than enough quickness and speed to play at the next level. One area that could be an issue is Moore’s long build he shows a bit of tightness in his hips, so quicker WRs may give him some trouble. He’ll be asked to guard some quicker shorter slot receivers, so twisting and turning hips as well as his changing direction will need to be worked on. Durability: Missed no time during his 3 years at UCLA. Durability should not be an issue for this young man. Has the frame to withstand the punishment he’ll take and give out as an NFL safety. Known to be an extremely hard worker on the field as well as in the weight room, and maintains proper nutrition and diet. Intangibles: Would like to see more of his ball hawk skills as he displayed in 2009 with the 10 interceptions, but overall Moore’s game is solid. He is smart safety that does not have any huge flaws in his game. He is more of technique tackler than bigger hitter, but will be able to make plays at the next level. Overall Stock: Moore is considered the best Safety in this year’s draft. Primarily played a lot of zone in college, Moore will need some work on his man to man game. He has enough size and speed though to be able to play man effectively if needed. For those of you who were not able to watch the Senior Bowl Practice today, here is the South teams practice in full, provided by DCFanatic.com. Enjoy!